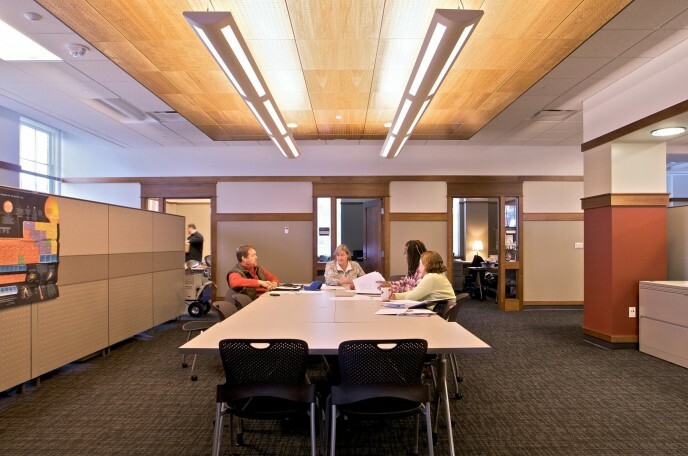 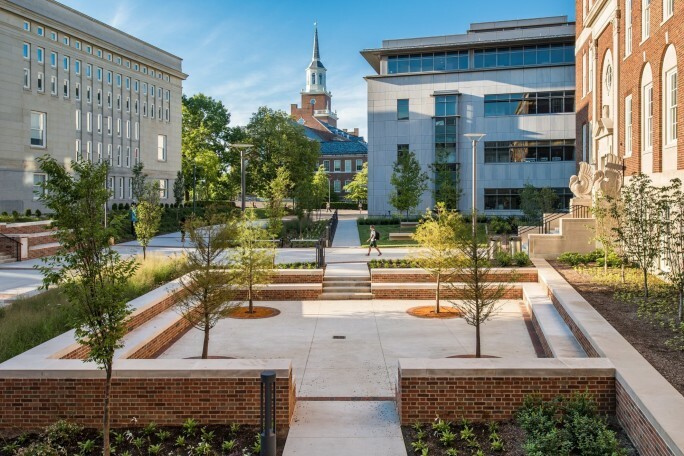 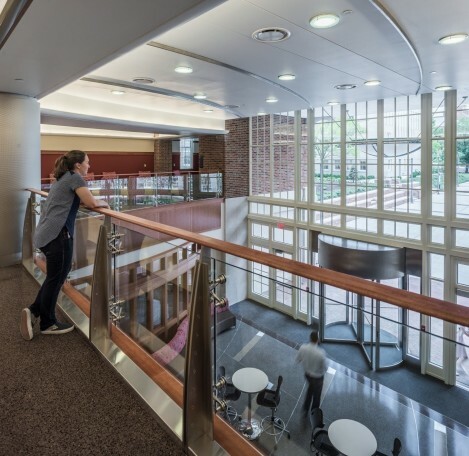 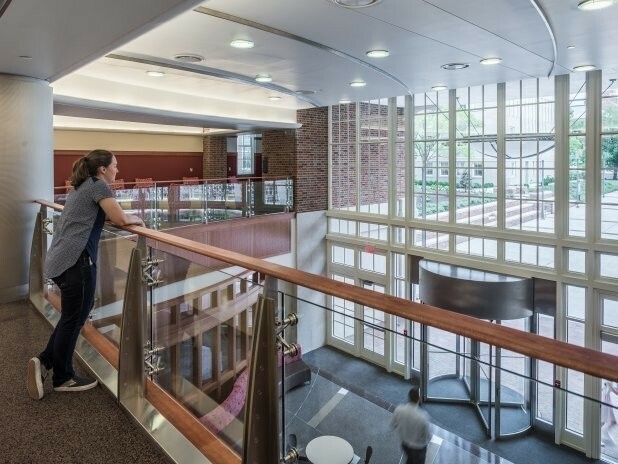 Masterful 17-year rework of Teachers College culminates in satisfying home for the largest college at the University of Cincinnati, creatively resolving difficult issues. The College of Education, Criminal Justice, and Human Services occupies the Teachers College complex, which was previously two separate buildings that had been joined with two additions — resulting in six disorienting levels cascading down a steep hillside with no discernable main entry or cohesive identity. 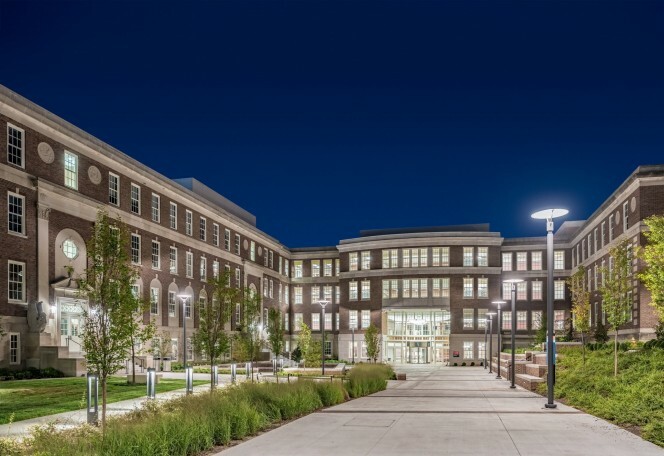 Champlin ingeniously reoriented the complex with a new façade addition, seamlessly respecting its historic context, and featuring a new main building entrance fronting onto an activated courtyard quadrangle oriented in conjunction with campus’ redesigned open space and pedestrian circulation systems. 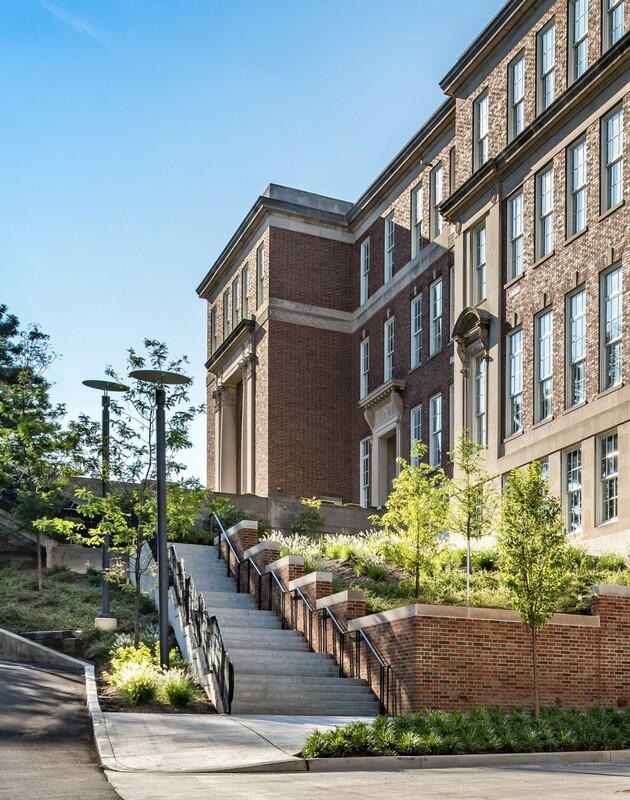 These bold moves physically and outwardly express a new identity for the College, showing that historic assets can indeed generate the excitement proffered by newer campus development. With a total interior gut and rehabilitation of 200,000 sf and an aggregate budget of $54 million, this project was designed to be executed in multiple phases while portions of the building remain occupied. 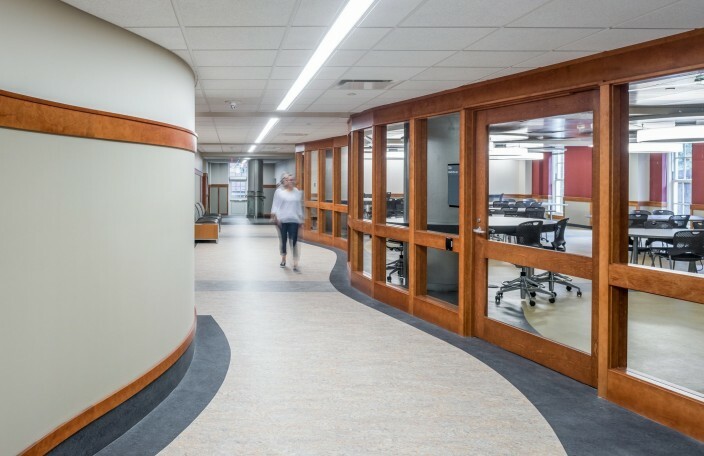 Initially, Champlin completed a major feasibility study, which included programming, site analysis, and architectural planning, and resulted in a pre-design report comprehensively outlining existing conditions, structural integrity, and environmental issues, along with an exterior envelope evaluation. Breakthrough improvements involved a new elevator and grand stair circulation core serving all levels facing the new lobby, and relocation of major mechanical systems to penthouse locations to free up valuable program square footage. 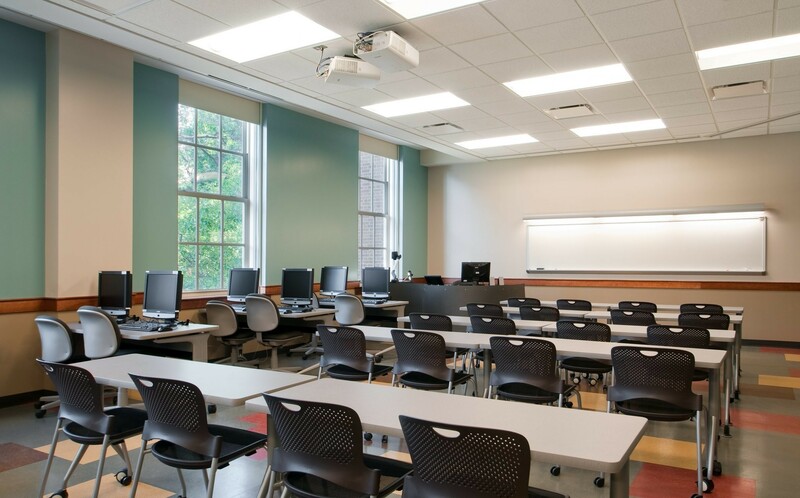 A new School of Information Technology (the fastest growing School at the University) was added to the College during the course of the project — requiring re-planning and integration. 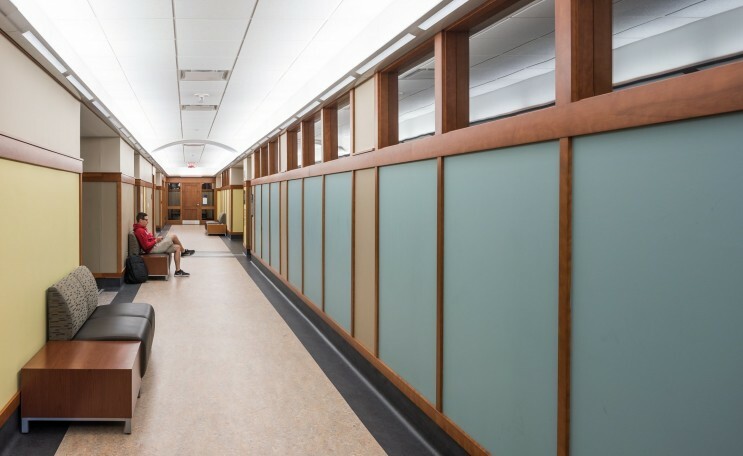 Notable attention was paid to the design of the interior architectural environment, which is now regarded as the most comfortable on campus. 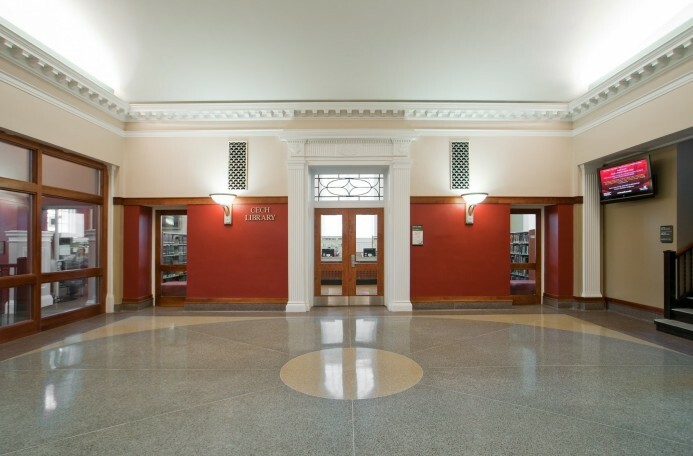 Some existing spaces of special historic importance were preserved and enhanced for today’s activities. These spaces then informed design of the remaining interior environment, blending traditional architectural expression with modern materials and furnishings - creating a compellingly holistic setting for the College. 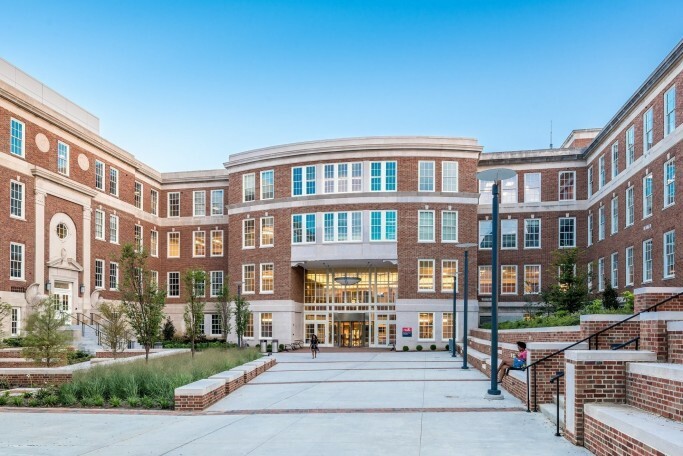 The scope of work included faculty and staff offices for 520, including an administrative Dean’s suite and a Student Services Center, conference / meeting seating for 260, the conversion of a historic lecture hall into stack and reading space for the Curriculum Resource Center, new instruction spaces seating 1030 students, research centers, a production lab for preparation of class presentation materials, Café, and Info Commons. Window replacement, exterior masonry restoration, new roof, new utility infrastructure, and audio-visual systems are among the many technical improvements extensively researched and addressed. 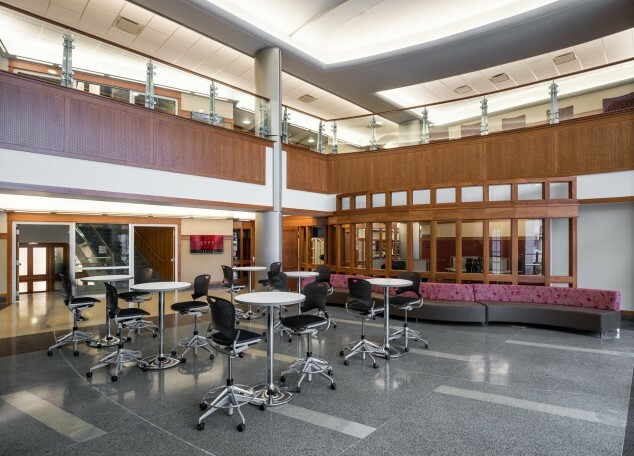 Champlin received a Tri-State Masonry Institute Honor Award for higher education masonry design. The project achieved LEED Silver certification. 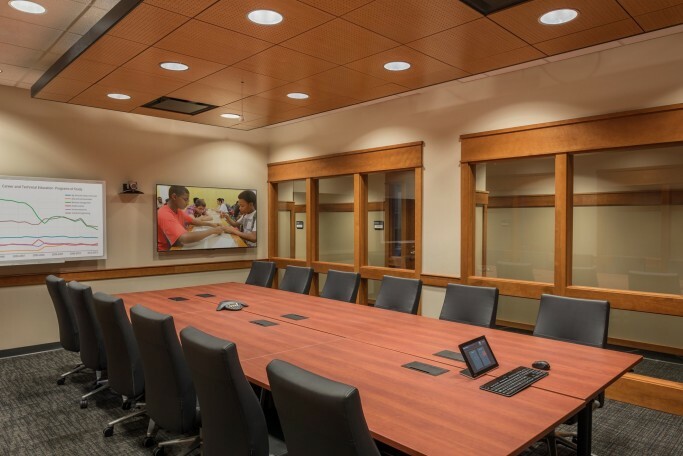 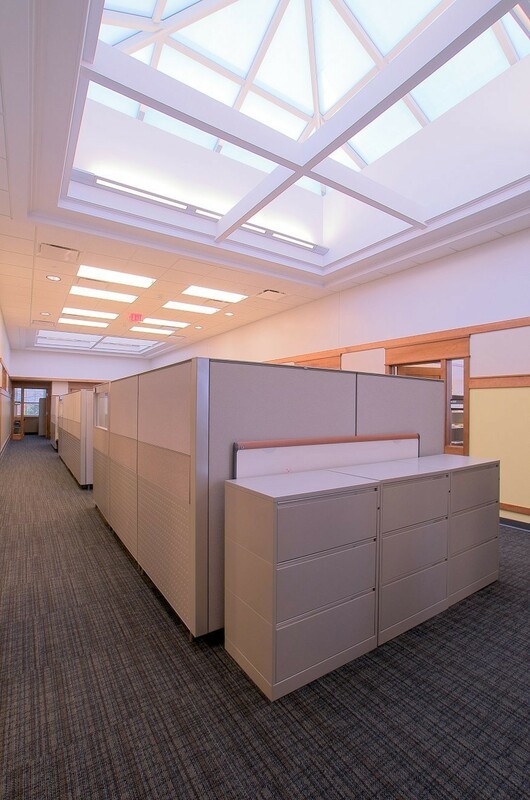 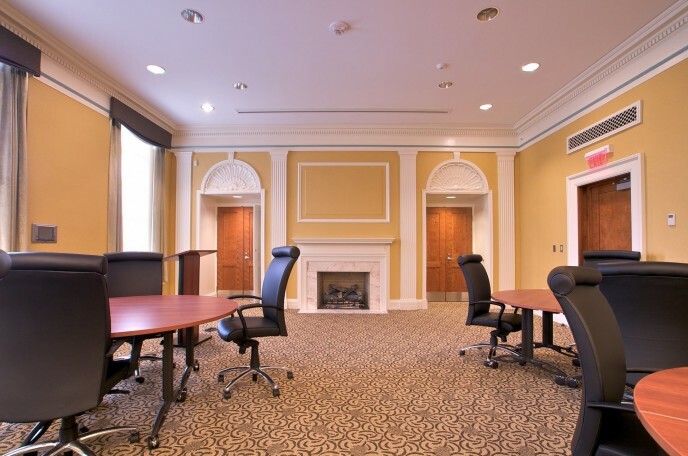 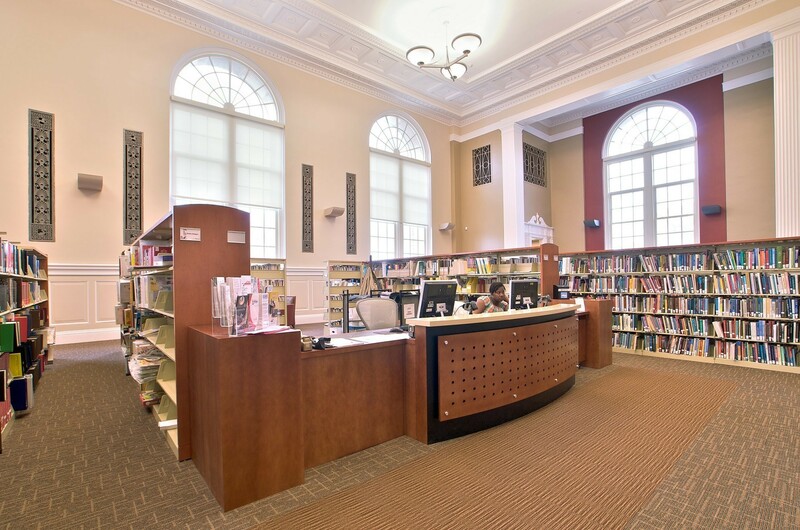 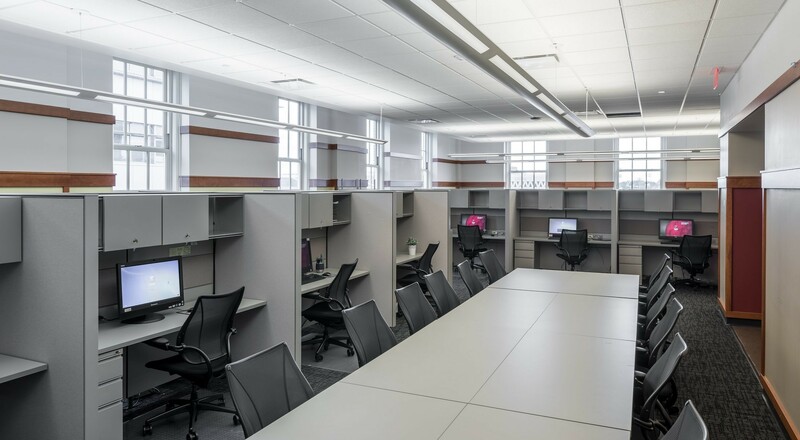 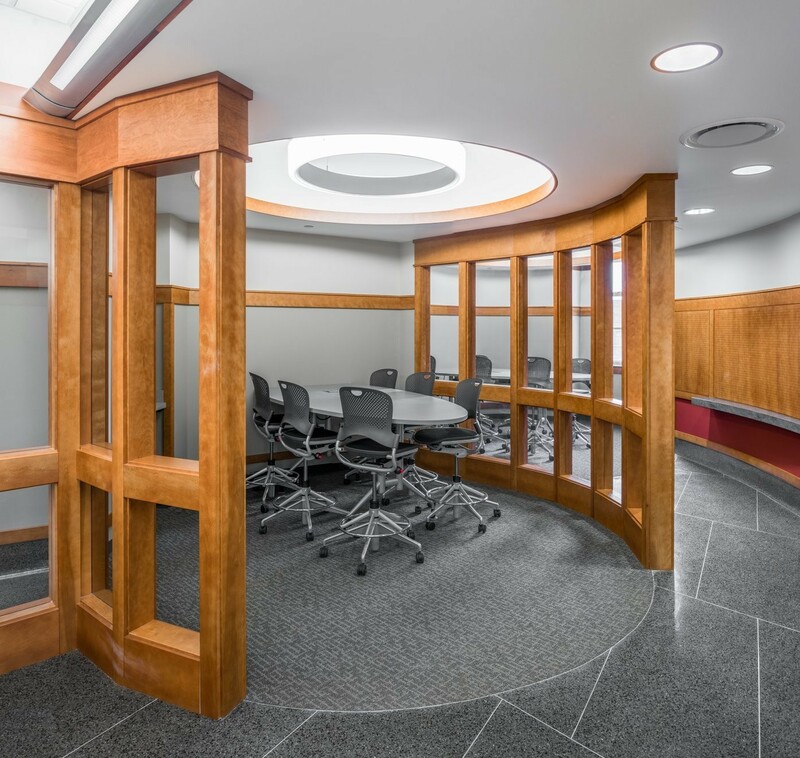 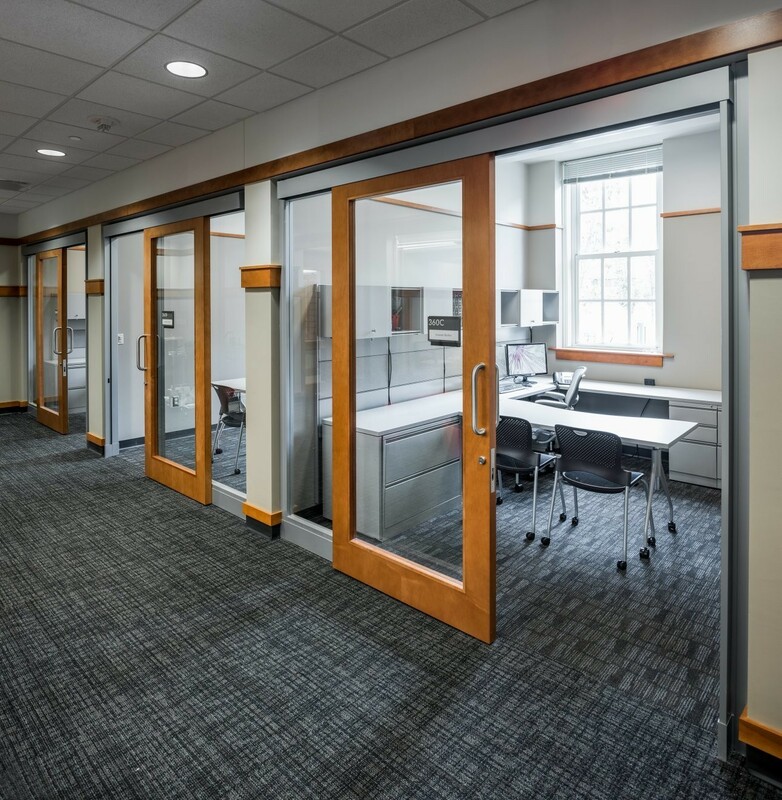 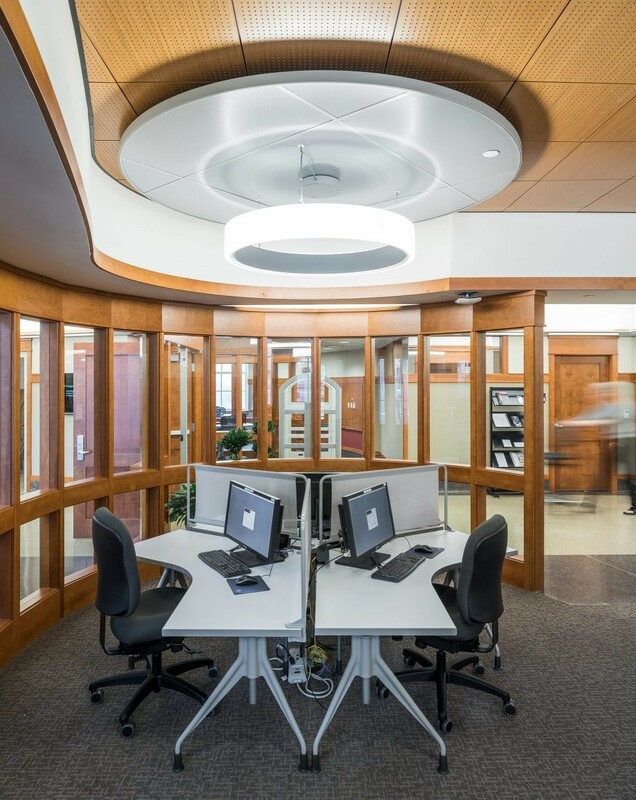 "Now that the occupants of our newly renovated Teachers College building have settled into their new space, we would like to extend our sincere gratitude to Champlin/Haupt and the rest of the design team for all their efforts with helping to make this project such a success. 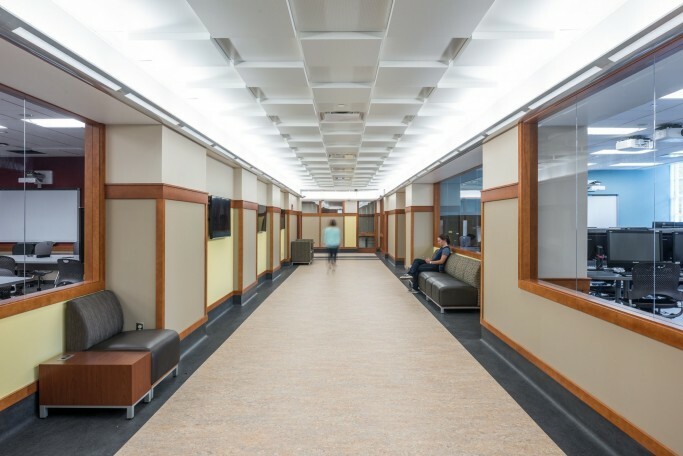 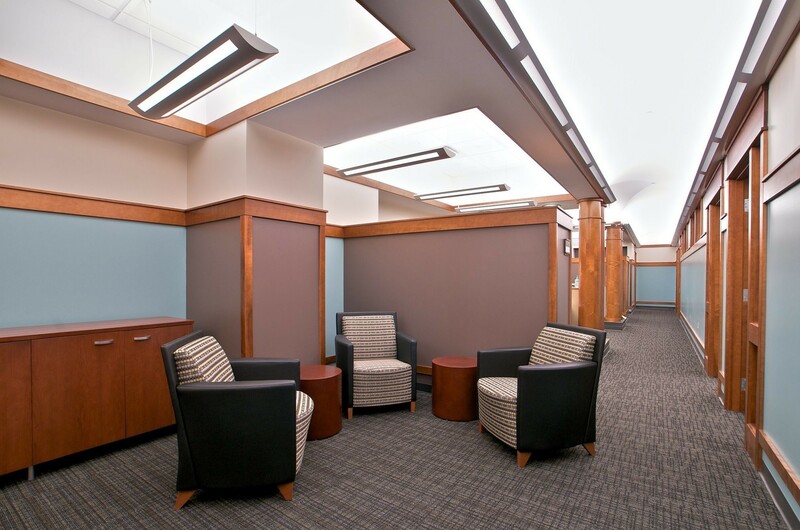 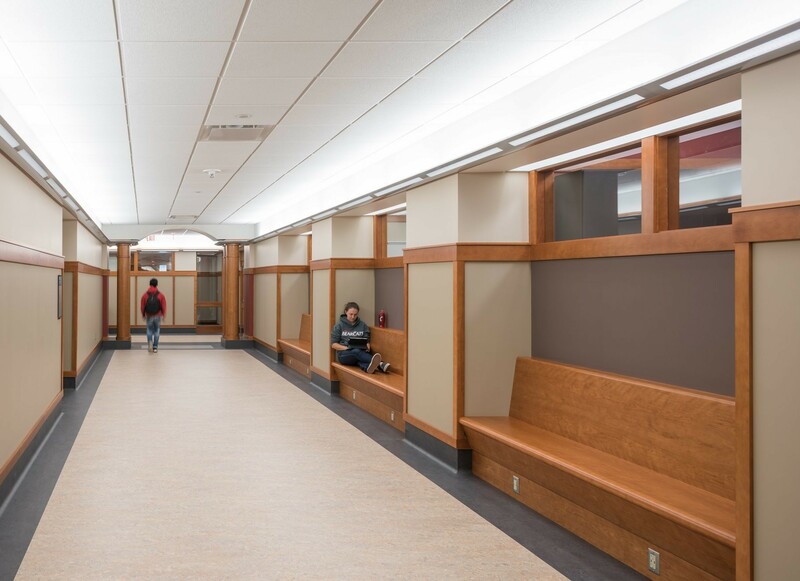 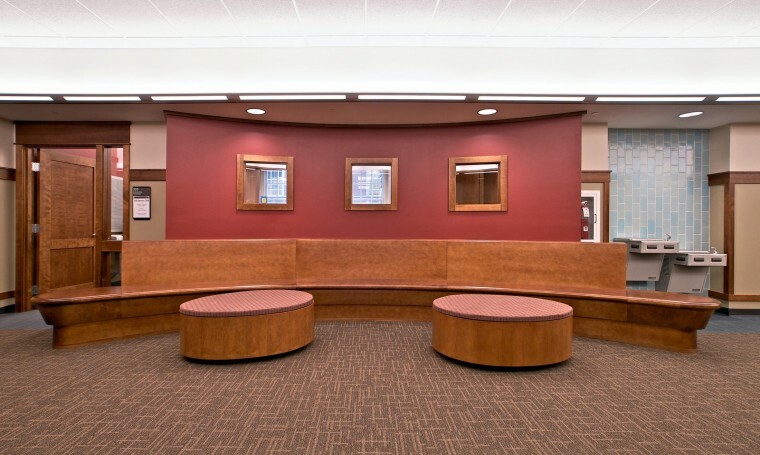 The faculty, staff and students are extremely please with their new surroundings and we have received many compliments about the warm, elegant, and functional space that Champlin/Haupt designed."